Helping Hands for Senior Plans has been a long-time client of JM. 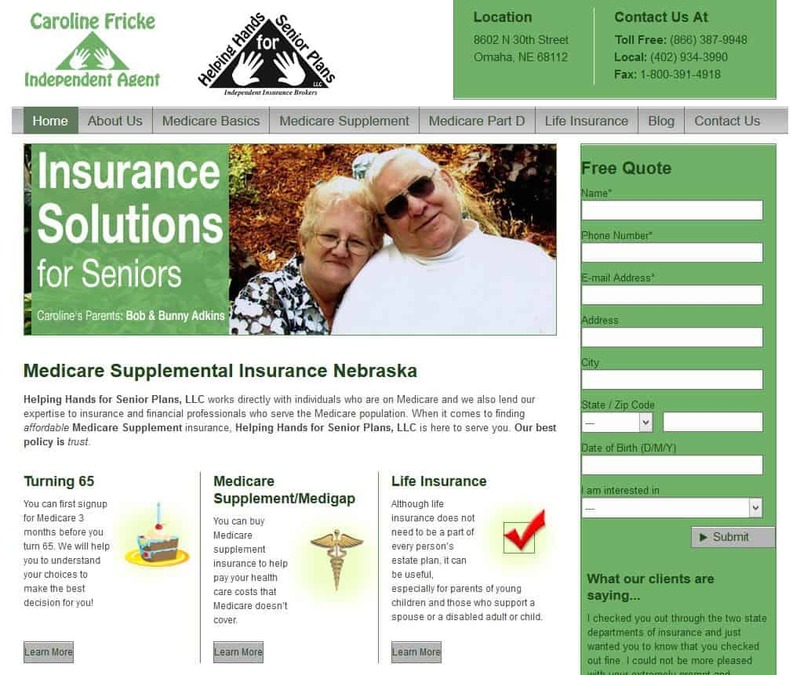 Several years ago JM provided Carol and Kurt Fricke with a new custom website for their Nebraska Medicare supplemental insurance business. Through the years, Kurt and Carol have seen great success with their website and decided to take a more active approach with online marketing. Helping Hands for Senior Plans is utilizing JM’s search engine optimization (SEO) services. In an effort to exceed their competition in Google, our Omaha SEO team is optimizing the website for its primary key words through code and content, as well as running Pay-Per-Click and Google Remarketing campaigns. At JM, our SEO service provides consistent reports to track success, as well as regular website maintenance to ensure our websites continue to see success. SEO is a long-term investment in a website and the reward can be great. Our Omaha web development team is excited to continue our partnership with Helping Hands and we look forward to seeing them into continued success in the future. As the online marketplace becomes more competitive and the factors of success are rapidly changing – many of JM’s web design clients are seeking to utilize our search engine optimization (SEO) services. One such Omaha business is Total Construction Services. Several years ago, Total Construction approached JM to design a new website – in an effort to have a more professional look and gain an edge over its competition. Since the website’s redesign, technology has changed, Google has placed new requirements in their algorithms and online marketing campaigns have shifted in focus. Total Construction has jumped on-board with again with JM to maximize the powerful tool they’ve been given in this custom website design. 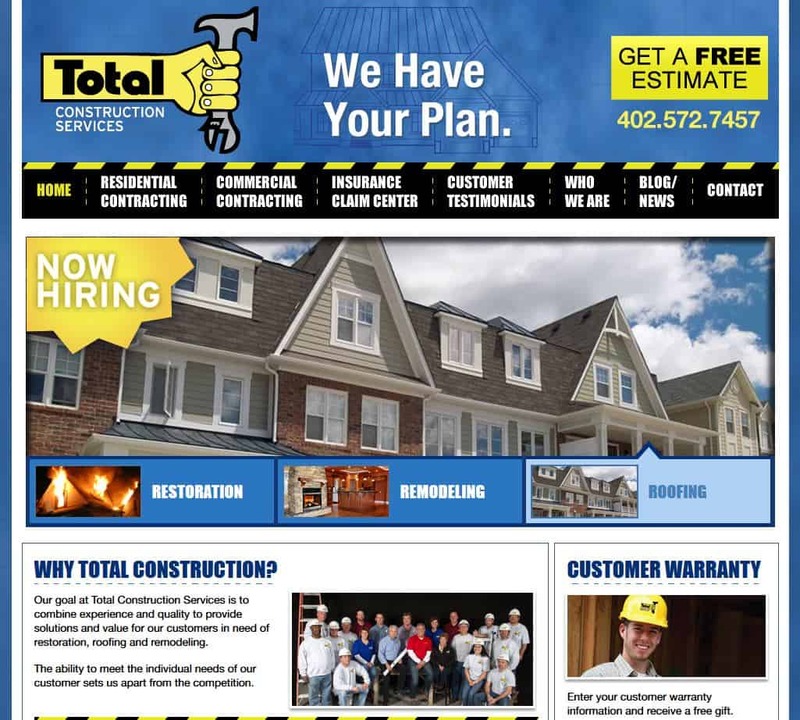 Total Construction is updating their website backend to expand their ability to control website content in-house. With a robust WordPress content management system (CMS) Total Construction will have control over their website content and will have access to powerful tools to assist in their site’s SEO value. Our website development team will also be updating this site to use responsive technology. With Google’s latest algorithm change, websites that are not responsive (tablet and mobile-friendly) will be pushed down in Google searches on mobile and tablet devices. Additionally, Total Construction is utilizing JM’s online marketing services, through which they will be taking advantage of our content writing services, Google Remarketing campaigns and Pay-Per-Click advertising. We’re excited about the continue partnership with Total Construction. Contact us to find out how our website design and development team can assist with updating your website to be more successful in the search engines. Omaha Promos has been a long-time foundational business in the Omaha-metro, and long-time clients and friends of JM. JM built a new custom website design and blog for Omaha Promos years ago and they have since used this powerful tool to help reach customers in an online market place. Our custom website design was part of a rebranding effort for Omaha Promos, as the company moved into a new generation of leadership. This rebranding effort sought to reach more businesses in the Omaha area, and to show their professionalism and care when it comes to serving customers. 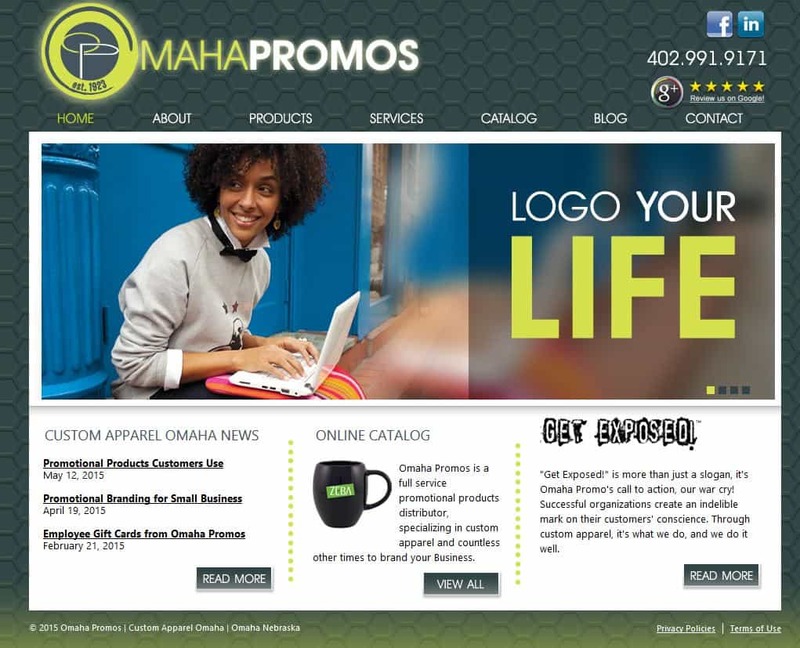 Since launching this new website several years ago, Omaha Promos has used their powerful WordPress blog to increase their website’s search engine optimization value (SEO) and consistently populates their blog with relevant, keyword-heavy content. They have also continued their partnership with JM by taking advantage of our SEO services – which helps narrow down keywords, implements them into several areas on their website and tracks progress on Google and other search engines. JM has utilized Omaha Promos’ services in the past – where they’ve made professional, branded t-shirts for our team and glasses with our logo for marketing purposes. The quality of their products and services were excellent, and our team is proud to have a partnership with a company of such excellent caliber. Decks, Decks and More Decks (DDMD) cares about quality. Whether it is the quality of their work, the quality of their customer service or the quality of their image – DDMD of Omaha wants to let their customers know that they care about what they do. Penner Patient Care provides care for customers across the US, and has a long history of professionalism and quality products. Recently, Penner partnered with JM to launch a new website with an updated look to reflect their business and quality. Jensen Service and Diagnostic is a long-time Omaha business. For more than 50 years, this family-run operation has provided excellence in service. Recently, Mike and Dave partnered with our creative web design team to build a site to capture the classic feel and timelessness of their quality customer service.